So much yarn, so little time. : Scotty Meerkat met William Shatner! Words fail me - but could you hear my excited squeal when my lovely buyer sent me this photo? THANK YOU! Eeeeeeeek! How cool is that? Well, fracture my dilithium and eject my core! ;-) That's pretty darn awesome. 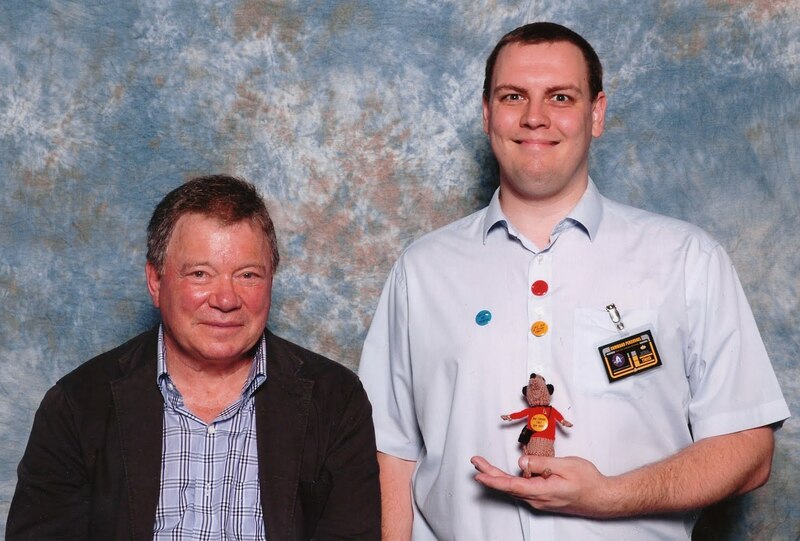 Congrats on your Meerkat going where no Meerkat has gone before...tee hee. That's just too perfect! Brilliant! What an honour for a little Meerkat!